Kathleen Wynne should say enough is enough. Why is the Harris-era Institute for Competitiveness and Prosperity still receiving nearly $1 million a year in public funding to manipulate the public towards some of the most ludicrous right wing ideas? Earlier today Roger Martin, former Dean of the Rotman School of Management, delivered an eight-point “working paper” that is the most regressive health care advocacy document we have ever seen in this province. The paper essentially advocates for the end of Medicare as we know it. Instead of addressing inefficiencies – and there are many in our present public/private system – it goes after working people and the poor to pay for more of their own health care. That’s hardly our idea of reform. In one scenario, while it advocates a co-pay amounting to up to three per cent of your annual income to access public health care, it caps families with an income of more than $100,000 per annum to $987. Only those under $10,000 per year would be exempt, leaving many under the poverty line to still pay more. Is Roger Martin really that big of an idiot, or is the point of the Institute to shout out the most extreme ideas imaginable in the hopes that watered down elements will be found acceptable by comparison? Martin had the gall the proclaim that Tommy Douglas never said health care would be free. Perhaps, but Douglas surely meant that, at the very least, the bulk of us might be able to afford it from time to time. Wynne must be embarrassed by the fact that Martin is the Chair of her Task Force on Competitiveness, Productivity and Economic Progress. Is this really who the present government is listening to? We’d like to see Hudak and company attempt to levy a tax on employment-related health benefits, as the report suggests. That would finish off his electoral chances once and for all. Imagine the reaction of working Ontarians to the news that their extended health benefits –including dental and drugs — would be now subject to tax. That move alone would dump $3.4 billion in health costs on working people at a time when corporate taxes are being slashed. The Social Determinants of Health would suggest that the advantages of wealth directly translate into healthier lives. They would reap all the advantage of such a system given they would have less need of it. The poor, whose life expectancy is already on par with many underdeveloped countries around the world, would be forced to take on much more of the cost or simply perish. We all know this is terribly unfair. The irony is the same business class has been opposing the idea of a minimum wage that rises above the poverty line. They want those least able to pay to contribute more. Surely if Bay Street truly believes this claptrap, they should fund their own institute, not rely on Ontarians to pay for it. The McGuinty government likely knew this about the ICP when they set up the Mowat Institute, also at the University of Toronto. 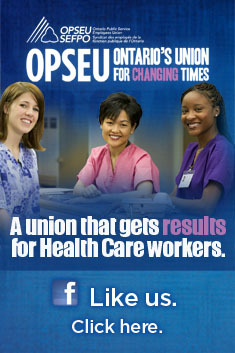 There you go Kathleen, savings of a million dollars courtesy of OPSEU. This entry was posted in Uncategorized and tagged ICP, Institute for Competitiveness and Prosperity, Roger Martin, Rotman School. Bookmark the permalink.